Avariety of locally owned and publicly owned utility services are available. These utilities offer some of the most competitive rates available in California. The City of Redding owns its own utility through Redding Electric Utility (REU), thereby allowing them to make deals with industry. As an incentive for new job creation, the City of Redding has established electrical rate incentive schedules per City Council Resolution. REU operates off of 50% green energy generated through hydro, wind and solar. The City-owned electric utility is equipped to offer industrial rates 30%-40% lower than investor-owned utilities in California and 99.9997% reliability. Over the years REU has been very aggressive in diversifying its energy resource portfolio for economic and reliability reasons, and more recently for environmental, renewable, and carbon reduction objectives. REU is committed to providing customers with the lowest-cost, most reliable power available, while at the same time is also concerned about the environment and wants to leave future generations with a cleaner, healthier environment. The City-owned electric utility provides services within the city limits and certain adjacent areas. The City also owns and operates two small solar installations, the largest is 10 kilowatts. The City of Shasta Lake manages a comprehensive energy efficiency incentive program for residential & commercial customers focusing on peak load reduction and energy conservation. For commercial customers, rebates are available for upgraded lighting, HVAC equipment, and in cases where an analysis is performed rebates can be offered for additional equipment that reduces energy use and/or demand. A Photovoltaic (PV) Buy Down Program is offered to help offset investment in a PV system to reduce the initial system cost. Pacific Gas & Electric Company provides electricity in the City of Anderson and unincorporated areas of the region. Pacific Gas and Electric Company provides natural gas service in Northern and Central California. All customers have a choice of supplier, and may thus procure their gas supply from competing suppliers. Suppliers and customers can work with PG&E to customize a package of gas transportation services to optimize pricing and operating flexibility, while ensuring needed reliability. Multiple voice and data communications providers, plus secure broadband capability and 4G wireless. Shasta has three fiber trunks passing directly through the region owned by Century Link, Sprint, L3. Charter offers four 10Gb pipes. Redundancy is available using Charter and AT&T. Frontier Communications in rural Intermountain areas. 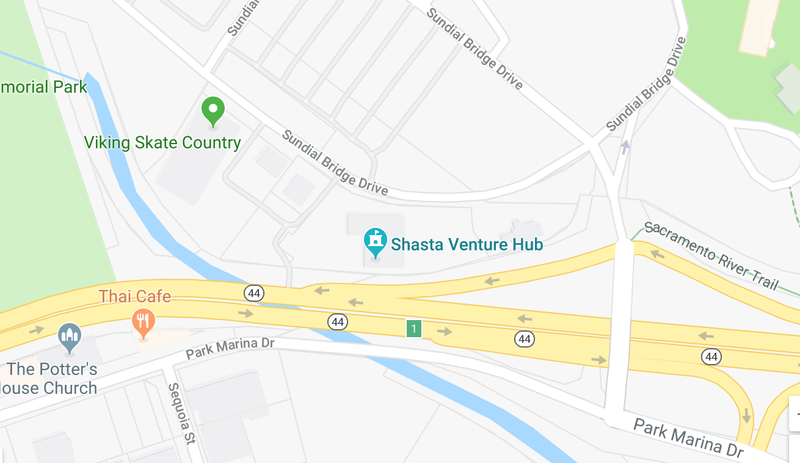 Shasta Region offers business and households major providers such as Charter Communications, AT&T, Verizon, Sprint and several smaller providers in outlying areas. Fiber Optics, Digital Switching and High Capacity T-1 is available. Abundant, available water supply at some of the best rates in California. Plus, robust wastewater treatment capabilities. The City of Redding has two major sources of drinking water: surface water and groundwater. The Sacramento River and Whiskeytown Lake provide customers with 71% of the water they use. This translates into approximately 5.61 billion gallons per year. The remaining 29%, or 2.32 billion gallons per year, is groundwater which comes from 14 wells drilled into the Redding Groundwater Basin. Two treatment plants output a combined 31 million gallons per day and have expansion capabilities of 70 million gallons per day. Water for the City of Shasta Lake originates from Shasta Lake through intake ports located in Shasta Dam. The treatment plant’s maximum output is approximately 6.7 million gallons per day. The City of Anderson’s water system consists of three separate systems containing a total of nine wells, a booster pump, and two reservoirs that deliver 2 million gallons of quality drinking water daily to City residents. City of Redding Wastewater Utility consists of the Clear Creek Wastewater Treatment Plant, Stillwater Wastewater Treatment Plant, Collection Division, 17 lift stations, approximately 423 miles of collection mains, approximately 7,000 manholes, and the Industrial Waste Division pretreatment program. The Clear Creek Wastewater Treatment Plant average dry weather flow is 7.5 MGD and average wet weather flow is 30 MGD. Projects include a major plant upgrade with wet weather flow enhancements. The Stillwater Wastewater Treatment Plant average dry weather flow is 3 MGD and average wet weather flow is 9 MGD. Projects include Outfall Diffuser Repair and Plant Expansion. The City of Shasta Lake’s wastewater treatment plant is designed to treat a dry weather flow of 1.3 MGD. Wastewater is pumped to the plant from pump stations located throughout the city’s sewer collection system. The plant utilizes an Activated Sludge form of treatment and consists of several treatment processes and structures. Anderson operates and maintains a modern Class IV, 2 MGD, tertiary wastewater treatment plant. Wastewater is conveyed to the plant by gravity and four pump stations through a system of pipes (38 miles) to the plant. The plant operates under strict waste discharge requirements permitted by the California State Water Resources Control Board.